Without good marketing, a product can die. There are some out there who say that Adobe ColdFusion is dying. 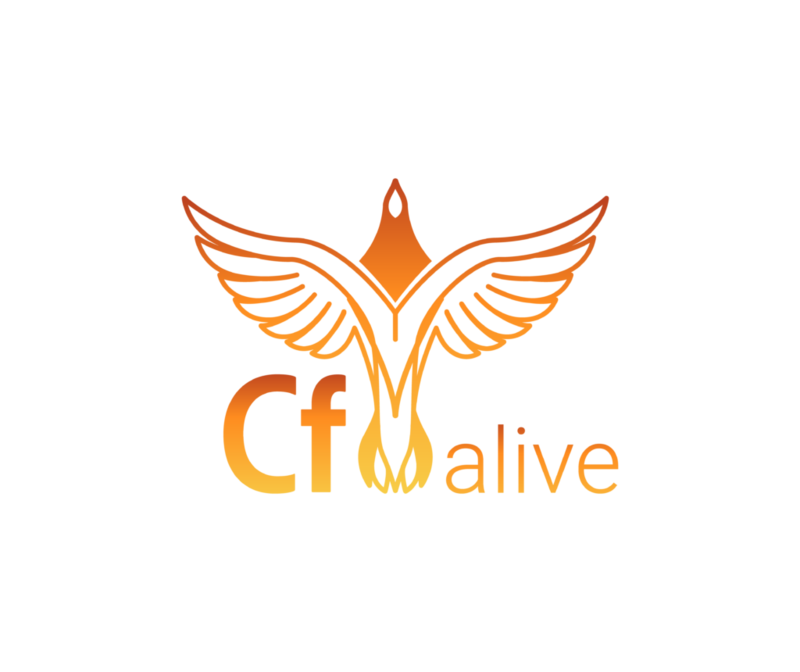 However, ColdFusion experts and developers agree that it is very much alive. And technically it is excellent. Perhaps the problem is not CF itself, but with its marketing. 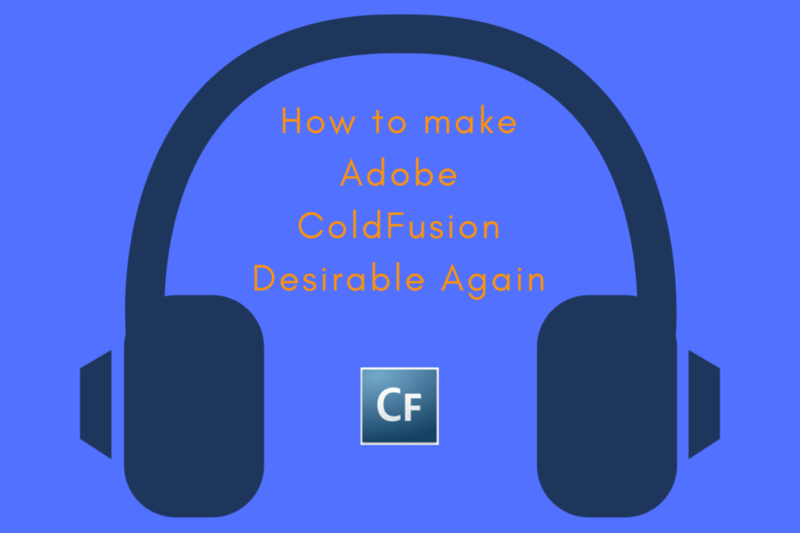 So what steps can we take as CFers to make sure ColdFusion doesn’t fade away? How can we promote CFML? These are some tricky questions as there is no clear-cut answer. Both producers and consumers must do their part to ensure the survival of CF and help it grow. Let’s take a look at how we can transform our quiet platform into a roaring giant through better marketing. Unfortunately, we cannot say the same about the good folks at Adobe and Lucee. Apart from working CFML developers, very few know the name ColdFusion. Whereas, Java and C++ have become household names in tech circles. 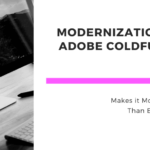 How can we do the same for ColdFusion? To do this, we must first address how CF’s PR could be way better. 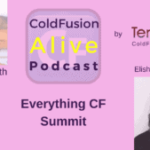 ColdFusion is far from dead. One proof of this is the amazing advancements made in CF 2018. Asynchronous programming, auto security lockdowns, and multi-latency support are just some of the new updates. But who is going to hear about it? The CF community needs to step up its game when it comes to getting the word out to the masses. Adobe focuses its marketing to existing customers. It relies on word-of-mouth marketing more than wider outreach campaigns. The CF team also needs to reach out to their desired clientele. Adobe stays in its safe zone of Fortune 500 companies and government. Why aren’t they reaching out to the developer masses? Why are they content to stay in this shell? New recruits keep a software army going. Notice how many ColdFusion experts are currently out there. The numbers are fewer than they could be. Also many existing CFers seem kind of ashamed about what they do, as I discussed in detail in the Introduction chapter. Adobe ColdFusion isn’t without its competitors in the CFML arena. The frontrunner is Lucee, an open source CFML. The Lucee Organization is currently not as prominent as Adobe in the public eye but rising. So why is it that Lucee is now mentioned in every conversation about CFML? First, Lucee as an organization is reaching out to the masses of developers. 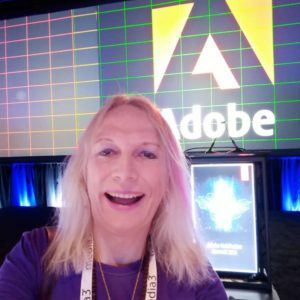 Lucee offers what Adobe does not – a free open source product. A modern, streamlined community website. (Separate from the main corporate website). Partners that actively promote Lucee CFML, including the prolific third-party CF company Ortus Solutions. 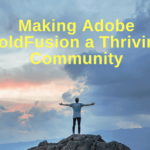 What would help Adobe ColdFusion? Active marketing. Instead of waiting for new customers to come to them, Adobe needs to reach out to new people. A safe place for them to start would be to expand within the Fortune 500 companies and government organizations they are already associated with. And then move beyond that to Russell 2000 and Inc 5000 companies. ColdFusion is an easy programming language to learn. All students interested in a software development path should be exposed to CFML. Adobe currently has a program for student outreach with Adobe Education Exchange. But when was the last time you heard a public announcement about that? Instead of only handing out a free software to a student who can market to their institution, make a scene about it. Hold hackathons. Give out prizes to top school CF coders. ColdFusion has been around since 1995. Back in the Allaire days, it was revolutionary. So much so that it has kept going over the last 23 years through the ownership by Macromedia and now Adobe. ColdFusion has stamina. It has a unique tag-based language with powerful scripting. It is easy to use and easy to learn. It has lots of features built in that other languages have to use third party addons for. It is the glue between different systems and APIs. It is tried and trusted. It is the most secure web programming language according to a CNET analysis. And as I discussed earlier, it can be the most state-of-the-art web development ecosystem. Bar none. Where’s the buzz? This particular issue doesn’t only lie on the backs of Adobe and Lucee. This applies to the CF community as a whole. 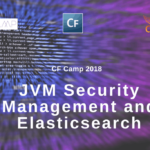 Stop being scared to bring up ColdFusion and CFML in larger IT communities. Believe in your development tools. Just because others aren’t using it doesn’t mean it isn't good or in many areas the best. The evangelical side of Adobe ColdFusion is on a rapid decline. Other platforms have their own evangelists. People who are as recognizable as their product. Lucee has Gert Franz. Ortus Solutions with its Box products has Brad Wood, Luis Majano, Gavin Pickin and its module master Eric Peterson. 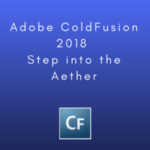 Who does Adobe ColdFusion have now? CF has many strong veteran developers and community leaders. Yet, we as a community need somebody to step up and take the mantle. Who will step up to be the face and champion of ColdFusion? A new fresh face for evangelism would be monumental in promoting CF. There are 2.62 billion social media users worldwide, including Facebook, Twitter, LinkedIn, Instagram, Pinterest, Reddit and YouTube. Of the 21 million developers of any language in the world, most are on some social media. You would think that some of these would be interested in CF. So where is ColdFusion? Adobe ColdFusion’s social media presence is underwhelming to say the least. The Facebook pages have relatively few posts, leaving you feeling unsatisfied. ColdFusion’s twitter is also little-populated, tweeting on average of once a month. LinkedIn is pretty empty of ColdFusion posts. The hashtag searches for #ColdFusion and #CFML offer little more. Only a scant handful of individuals post with these hashtags. Even the ColdFusion Reddit, and the tech-focused Hacker News are close to empty. Most companies now hire dedicated social media managers. Adobe even offers social media management platforms. So why is there no push for their own product? ColdFusion isn’t dead. It’s only hiding, and it’s hiding right in front of our faces. What Would It Take to stay up to speed with the latest CF release? The answer is easy. Invest in yourself and your work and update. What is it about updates that drive people away? Updates come with a plethora of benefits. They allow you to gain access to new features that can help you succeed in the world of ColdFusion. In the ColdFusion 2018, for example, there is an auto lockdown feature. This saves you time (which in turn saves money). It allows for proper security measures to be taken with the click of a button. There is no reason to get stuck behind. Updates are how your platform performs better, stays secure, and builds better applications. Modernize your work space. For optimal performance of ColdFusion, security tools, and other supporting systems, update! Keeping up to date software helps keep CF alive and modern. Some CFers are reluctant to upgrade to the “dot zero” release of a new version of ColdFusion. Some new releases have had bugs in them. (The MX 6.0 release was infamous for this issue). My advice is that if you are risk-averse then wait until the first hotfix has come out or 6 months – whichever comes first. It is then safer to upgrade. Of course you always want to test your code and app on a staging server with the new version to be sure everything still works the same way. There are many developers and companies that use ColdFusion in the open on public websites. They are proud to acknowledge their platform, and that is awesome. But there are also many who use CF and hide the fact. For good security and SEO reasons URLs don’t end with “CFM.” The CF server is told to not broadcast ColdFusion and version info in the page header. This makes identifying that the website was built using ColdFusion difficult or impossible by sites such as BuiltWith. Is there some secret society dedicated to keeping ColdFusion underground? Are these companies and developers ashamed to admit they are using it? If so, why? There is no need to hide your development platform. There are many more ColdFusion sites that are commonly noticed. We need a “Built with ColdFusion” logo that you can put on such “hidden” sites, so that others can see what CF can do. A great way to keep CF alive is to actually recognize the power of the platform. By using popularity as a tactic, ColdFusion is sure to garner more attention and in turn raise its user base. One way to get this in motion is to survey a sample all IT personnel and CIOs. CF companies and (apparently) non-CF ones. That would give us a better idea of the true market share of CF. CF users could give us insight into why they are proud of it and what they want to improve about it. Also, interview non-CF users to determine why they are not using it. What is driving them away from ColdFusion? Do they not have personnel trained to use it? Or is the stigma of a “dying” platform scaring them away? Or is it something else? Adobe and Lucee should take these answers and address the biggest issues. Not everything has to be changed at once, but the action does need to be taken.